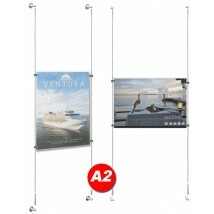 Our wall to wall cable displays can be used vertically or horizontally, although we recommend vertically for best results. 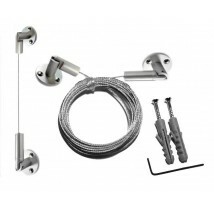 These fixings can be used from wall to wall, be it in-store or on exhibition stands. 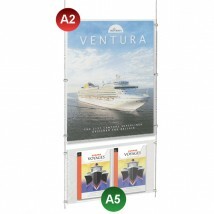 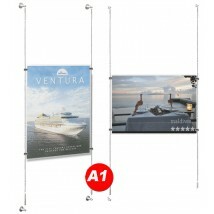 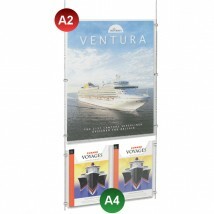 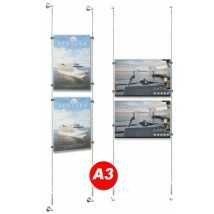 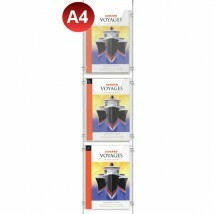 Use to great effect by combining these wall to wall displays with a poster pocket and leaflet dispenser to create a total cable display system. 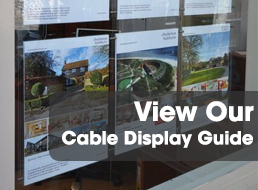 Alongside our wall to wall cable displays, we also have a varied selection of other wire display including Poster Holder Kits, Leaflet Dispenser Kits, Freestanding Cable Displays and Complete Cable Systems. 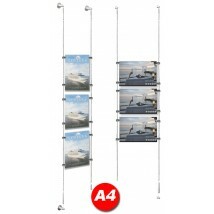 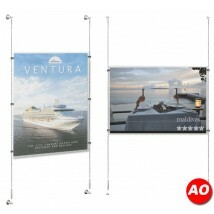 Discount Displays for all your cable display needs.